Taylor is posing with her cousin Zoey. These two will do anything for a treat! Taylor is turning 5 on Friday, August 3rd and to celebrate her birthday we wanted to share a wonderful giveaway with you and your pup. Have you heard of Zuke’s? It’s a dog treat company based in Durango, Colorado that stands for quality and believes in creating treats that are healthy and all natural. The founder, Patrick Meiering named the company after his dog, Zuke and a portion of the sales are donated in memory of Zuke to the Dog & Cat Cancer Fund. I love that it’s a company that gives back. We switched Taylor to grain free dog food years ago. We also give her fish oil and glucosamine daily to help with her coat, skin and joints. Taylor is part Golden Retriever and hip dysplasia common in her breed. We are doing what we can to prolong her life and help her age in a healthy way. I think sometimes we care more about her health than our own. Taylor is salivating over these treats! Sometimes it’s difficult to find healthy treats. I would like to say that we only give Taylor carrots and apples for treats, but that’s not always easy when you’re traveling or in a hurry. 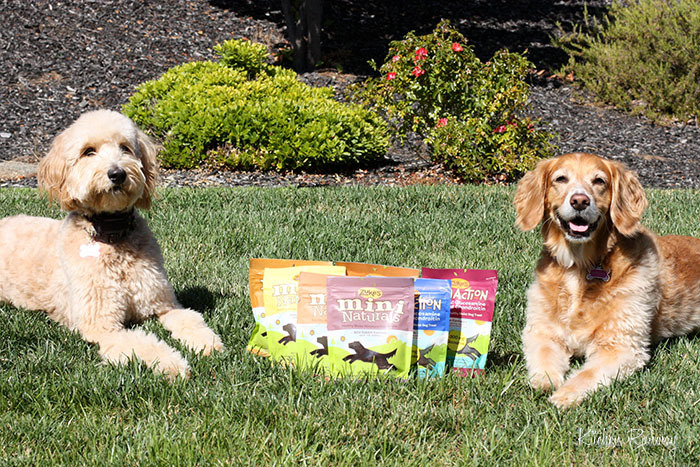 We were happy to learn that Zuke’s provides a healthier alternative to traditional dog treats. It’s wheat, corn and soy free, has no fillers, additives, artificial colors or flavors, no added fat or by-products and these treats are made in the USA. We feel better giving her these treats and she enjoys them very much. I especially like the Hip Action treats that are fortified with 300mg glucosamine and chondroitin. 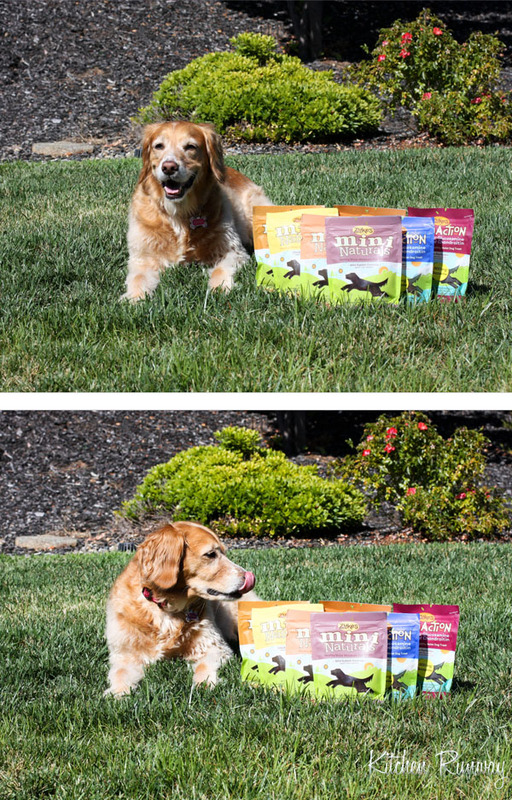 Taylor loves the chicken flavor Hip Actions which also has antioxidants and the Wild Rabbit Mini Naturals. These little treats are the perfect size for training. She drools for the rabbit mini naturals! 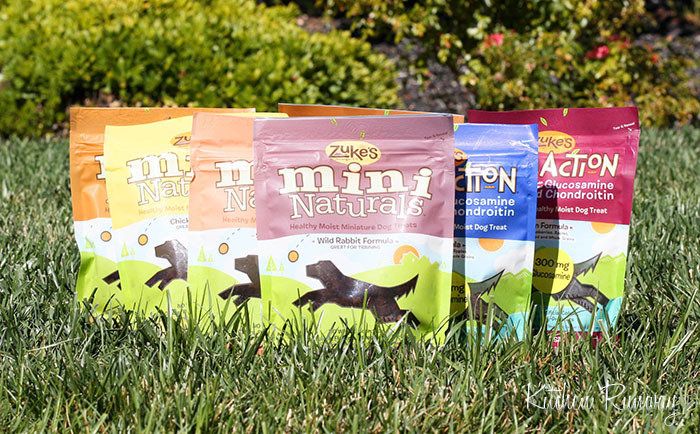 Zuke’s has a variety of natural treats that are great for active dogs. They also have a product line for cats too. 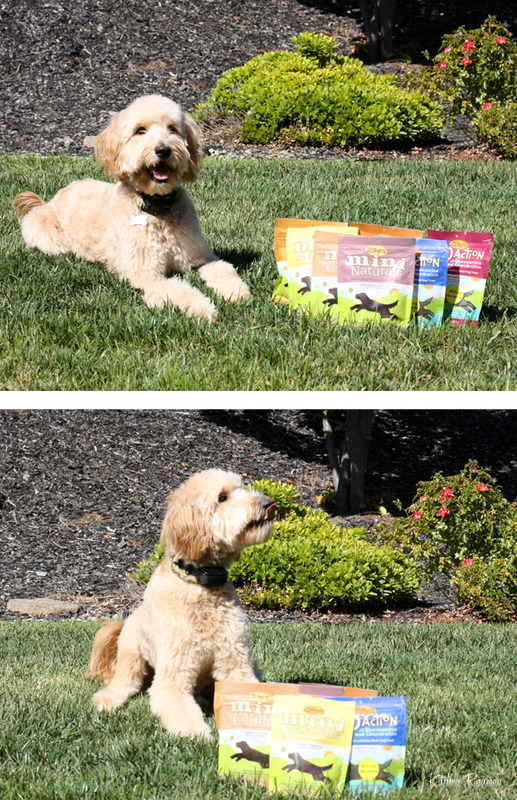 Even Zoey the Golden Doodle can't resist licking her chops in anticipation of these treats! Zuke’s sent Taylor a box full of Mini Naturals and Hip Action treats. They must have read Taylor’s mind because they sent her all of her favorite flavors: salmon, chicken, peanut butter, wild rabbit and beef. It’s every dog’s dream menu! To celebrate Taylor’s 5th birthday Zuke’s is giving away the same treats that Taylor received to one lucky reader. This giveaway is valued at over $50.00 and consist of four (4) 6 oz. bags of Mini Naturals (salmon, chicken, peanut butter and wild rabbit formula) and three (3) 6 oz. bags of Hip Action (chicken, peanut butter and beef formula). Both of these lines are moist dog treats. Zuke’s products are available online and certain stores across the country. Here’s how to enter to win the Zuke’s Dog Treats: Congratulations Debbie in WI!! Thank you everyone for entering! Leave a comment telling us what is your dog’s favorite birthday treat. That’s 6 entries into the giveaway. If you already do one of the above, it will count as an extra entry (just leave a comment below to let us know). Remember to post a separate comment for each entry. This giveaway is open to US residents only. (sorry international readers…) The giveaway will end on Thursday, August 9th, 2012 at 11:59 pm PST. The winner will be randomly drawn and will be notified by the email that they provide on the comment. If the winner does not claim their prize by 11:59 pm PST by August 12, 2012, another winner will be chosen and the prize will be forfeited. Disclaimer: I was sent a complimentary box of Zuke’s treats. One random winner will also receive the same. No compensation was received for this post or review. Affiliated links are included in the post. The opinions are my own. This entry was posted in Giveaway, Taylor Thursday and tagged giveaway, Taylor, Taylor Thursday. My dogs only get Zuke’s treats these days. They like beef. It is the smelliest! Alice, my go to girl for every outdoor adventure love Zuke’s Z-Filets, but her all time favorite treat after a long day leading me on my nobby-wheeled bike is a big scoop of cottage cheese! My dog is thoroughly enamored of the Salmon Jerky Bites, but would love most of the otehr flavors as well. My dog likes the wild rabbit flavor best. I like Zuke’s on Facebook. Our Dog loves Zuke’s Peanut Butter Hip Action Treats. My dogs like the Hip Action Beef flavored. One of their favorite treats is also baked sweet potato. I “Like” Kitchen Runway on Facebook as Kelly Ann T.
I “Like” Zuke’s Performance Pet Nutrition as Kelly Ann T.
Dumpling’s favorite birthday treat is freshly cooked beef! Sarah, my Pomeranian, will spin in circles for Zuke’s Z-Filets! She’s truly a “treat snob”, and loves her Zuke’s! ozzy likes cottage cheese. dutch likes freshly cooked chicken breast. and bella loves anything she can sneak off the dining table! that naughty girl! Your dogs look AMAZINGLY well behaved! And they appear to be fans of Zuke’s, which my puppies also love. I’ll be trying the rabbit flavor on my next order. Thanks!